This year Lithgow library is showing its support for men’s health awareness with a Movember Boys’ Day In. We will have a volunteer to lose his facial hair, well known Lithgownian, Ian Rufus has agreed to grow his beard, moustache and hair so that Tim from Tough Grind can demonstrate men’s grooming techniques and, an expert will speak on men’s health. Come along and show your support with a gold coin donation, which will place you in the running for the lucky door prize. Light refreshments will follow. 17-year-old Lucy is an attractive mage-in-training who wants to join a magician’s guild so that she can become a full-fledged magician. The guild she dreams about joining is the most famous in the world and it is known as the Fairy Tail. One day she meets Natsu, a boy raised by a Dragon who mysteriously left him when he was young. Natsu has devoted his life to finding his Dragon father. When Nats u helps Lucy out of a tricky situation, she discovers that he is a member of the Fairy Tail magician’s guild and our heroes’ adventure together begins. 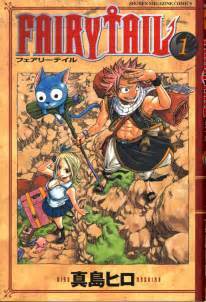 You’ll find Fairy Tail 1 and 2 in our graphic novel section at Lithgow Library. World AIDS Day, held on 1 December each year, raises awareness across the world about HIV and AIDS. It is a day for the community to show support for people living with HIV and to commemorate people who have died of AIDS related conditions or other conditions associated with HIV. The Library will be hosting an event at 10am on Friday 1 December to mark World Aids Day and to raise awareness about HIV and its treatment, diagnosis and living with HIV. There will be guest speakers, the Lithgow Community Choir will be performing and there will be a short memorial for those lost to HIV and AIDS. Globally there are an estimated 34 million people who have the HIV virus. Despite the virus only being identified in 1984, more than 35 million people have died of HIV or AIDS, making it one of the most destructive pandemics in history. Like every town in Australia, Lithgow has lost precious members of our community to HIV. This is an opportunity for us to come together, to grieve and remember our loved ones lost and to raise awareness about this issue which is still relevant for so many in the local and global communities. Local artist Zavozoa’s latest exhibition of paintings titled Carbon “X” are brightening the walls of the Lithgow Library during November. The bright and colourful works, inspired by painters such as Van Gogh and Namatjira, and reinterpreted by Zavosoa into eye catching originals present a stunning display and talking point in the library. The exhibition is free and accessible during the library open hours. Our last session of Little Bang Discovery Club was science fair day!! The children showcased their own experiments from home. We then conducted some experiments of our own. Certificates were presented thanks to Michelle from Energy Australia, whose support makes Little Bang Discovery Club possible. LBDC will run again next year for 3-5 year olds. Please register your interest by calling Lithgow Library on 63529100. Lithgow Library will be holding a “Boy’s Day In” event in November in conjunction with the Movember Foundation to raise much needed funds to help inform and educate men about their physical, emotional and mental health. Movember brings the community together each year in a fun event. 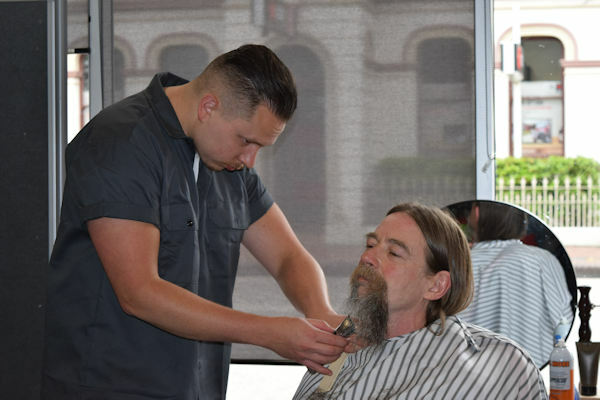 This year we have a volunteer losing his facial hair and, well-known head of the Lithgow Living History group Ian Rufus, is volunteering as a living example of men’s grooming as demonstrated by Tim from Tough Grind, Lithgow’s only barbershop cafe. There will also be a speaker on men’s health and well-being. Come along and show your support and be in the running for a lucky door prize. The fun begins at 11.30am on Wednesday 29 November at the Lithgow Library, where a gold coin donation will gain you entry and a ticket in the prize draw. Lights refreshments to follow. “This is a very worthwhile cause where fun joins community spirit in promoting men’s health awareness,” said Lithgow Mayor, Stephen Lesslie.